The 20th edition of the Fantasia International Film Festival came to a close last night. Team ScreenAnarchy bounced back and forth between the two theaters, the pub and whatever purveyor of caffeinated drinks was open at our times of need. You can read all about it, the highs and lows, find every review and interview we did this year, right here. Now that the festival is over for another year it is time to announce which films took home the hardware this year. 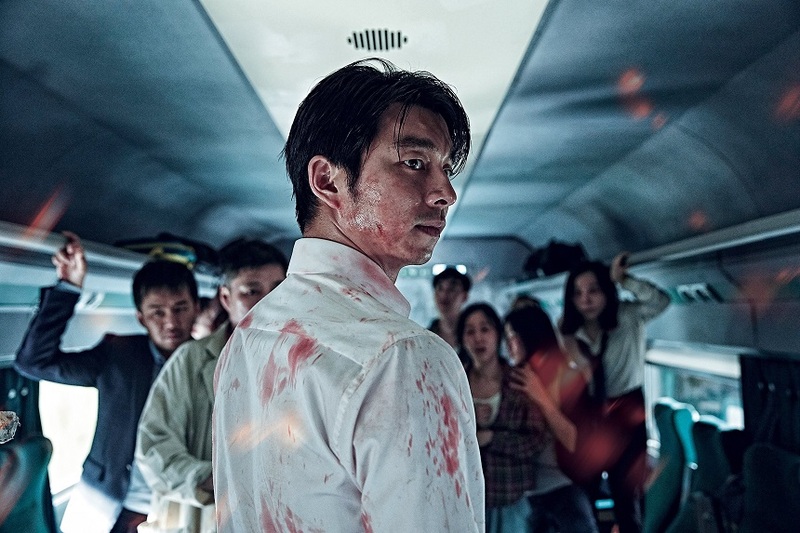 Fantasia does a wonderful job of really spreading out the love but Yeon Sang-ho's Train to Busan took home both the Audience Award for Best Asian Feature and the Cheval Noir Award for Best Feature as awarded by the jury. Not bad at all. Ever since it bowed at the festival those still sticking around Montreal have been talking about it non-stop. Other Korean features The Wailing and The Bacchus Lady also go home with two awards. What follows is the exhaustive list of all the award winners from this year's festival. When you run for three weeks you have every right to hand out as much hardware as you want. Peruse for your pleasure and see if films you liked this year made the cut. Montreal, Thursday, August 4th, 2016 — Following three straight weeks of screenings, today the Fantasia International Film Festival finishes its 20th edition. The festival filled to bursting the SGWU Alumni Auditorium (Hall Theatre), the J.A. De Sève Cinema, and the D.B. Clarke Theatre at Concordia University, as well as the McCord Museum, la Cinémathèque québécoise, Place de la Paix in le Quartier des Spectacles, and at the Vidéotron stage at the Just For Laughs Festival. For the seventh consecutive year, Fantasia attracted over 100,000 spectators to a total of 209 cinema screenings, three free outdoor screenings, 11 virtual-reality films, and numerous special events. Among the many standout moments of the 20th edition were 19 world premieres, including KING DAVE by Daniel Grou, this year’s opening film, as well as THE TOP SECRET: MURDER IN MIND by Keishi Otomo, GORAN by Nevio Marasovic, SHE’S ALLERGIC TO CATS by Michael Reich, THE UNSEEN by Geoff Redknap UN PETIT BOULOT by Pascal Chaumeil, REALIVE by Mateo Gill, KICKBOXER: VENGEANCE by John Stockwell, and SOME FREAKS by Ian MacAllister-McDonald. Also noteworthy were many sold-out screenings, including LET ME MAKE YOU A MARTYR by Corey Asraf and John Swab, IF CATS DISAPPEARED FROM THE WORLD by Akira Nagai, LIGHTS OUT by David F. Sandberg, I, OLGA HEPNAROVA by Petr Kazda and Tomas Weinreb, EMBERS by Claire Carré, TRAIN TO BUSAN by Yeon Sang-ho, PSYCHO RAMAN by Anurag Kashyap, TERRAFORMARS by Takashi Miike, SHELLEY by Ali Abbasi, and DON’T BREATHE by Fede Alvarez, this year’s closing film. A near-record number of special guests were present for the festival’s 20th anniversary, including iconic genre directors Guillermo Del Toro and Takashi Miike, in Montreal to receive a Cheval Noir and Lifetime Achievement Award respectively. Fantasia is also immensely proud to have presented the inaugural Prix Denis Héroux to filmmaker Jean-Claude Lord, celebrating his exceptional contribution to the development of Québécois genre cinema. Almost 700 international guests, including some 400 film industry professionals, came to Montreal over the course of the festival and its accompanying Frontières International Co-Production Market. The Fantasia International Film Festival is proud to announce the names of the various award winners of its 20th edition. The festival's winners were selected by juries as well as festival’s audience. New Flesh Award for Best First Feature (awarded unanimously): MAN UNDERGROUND by Michael Borowiec and Sam Marine. The jury, composed of Kier-la Janisse (author, editor-in-chief of Spectacular Optical), Paul Corupe (author and screenwriter), and Mario DeGiglio-Bellamare (filmmaker, writer and programmer), awarded Spectacular Optical’s Barry Convex Award to FEUILLES MORTES by Thierry Bouffard, Carnior et Edouard Tremblay. The award is accompanied by a $1000 prize, thanks to the Paul A. Ray Memorial Fund. The jury also presents a Special Mention to ÉCARTÉE by Lawrence Côté-Collins, saluting an accomplished exercise in voyeuristic suspense. The jury, overseen by Martin Gignac and composed of Céline Gobert and Olivier Thibodeau, awarded the Prix AQCC to THE WAILING by Na Hong-jin. The jury, overseen by Pascal Grenier and composed of Jean-Marie Lanlo and Guillaume Potvin, awarded the Prix Séquences to WE ARE THE FLESH by Emiliano Rocha Minter. Le prix L’Écran fantastique, selected by Yves Rivard, was awarded to BEFORE I WAKE by Mike Flanagan. The festival's audiences were invited to vote for Best Virtual Reality Film. This year's selection of virtual-reality genre films was programmed in collaboration with the CFC Media Lab. The section consisted of 11 titles, five of which were Canadian and six international productions. The Samsung Virtual Reality Award went to the short film KILLER DEAL from US director Anthony C. Ferrante. Lastly, as part of the program of family films MON PREMIER FANTASIA AU MUSÉE McCORD, a youth jury consisting four members aged between 8 and 10 years old awarded this year's Prix Jeunesse Mon Premier Fantasia to (SIMON'S CAT) A VISIT AT THE VET by U.K. animator Simon Tofield. The Fantasia International Film Festival wishes to thank its sponsors and partners for their continued effort and support. For its 20th edition Fantasia was able to count on the support of 50 sponsor-partners, a dozen media partners, and 130 advertisers. The Fantasia International Film Festival’s 21st edition will take place in July of 2017.